She was born in Bilbao in 1942 and died in Madrid in 2006. 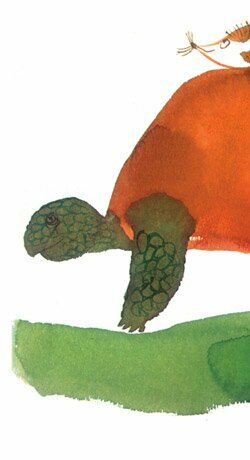 She was a writer, illustrator and translator. She studied drawing and painting in the 60�s. She lived for a while in Italy and on returning to Spain decided to base herself in Madrid. From that time in 1976, when she dedicated herself exclusively to writing and drawing, she illustrated as many creative books as text books, working for most of the publishers in Spain and for Various European and American publishers. 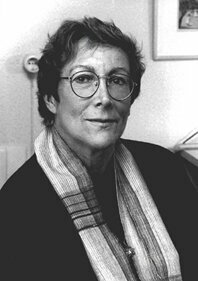 Her work in the press, advertising and graphic design must not be forgotten. She was joint president of the Asociaci�n de Ilustradores de Madrid along with Forges. 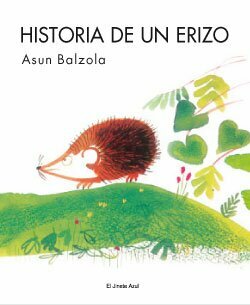 She was awarded the Lazarillo Prize in 1965 for Cancionero infantil universal and with the National Prize of Illustration in 1985 for Munia y la se�ora Piltronera. - Historia de un erizo. Mi��n, 1978. El Jinete Azul, 2010. - Munia y la luna. (1982). Destino, 1990. - Guillermo, rat�n de biblioteca (1983). Madrid: Anaya, 2005. - Los zapatos de Munia. (1983). Planeta & Oxford, 2004. - Munia y el cocolilo naranja (1984). Destino, 2000. - Munia y la se�ora Piltronera. Destino, 1985. - El Reino de los Ni�os (1980). SM, 2000. - La bruja do�a Paz. Mi��n, 1981. - Zuecos y naranjas (1981). La Galera, 2001. - Celia y la revoluci�n. Aguilar, 1987. - Historias de Franz. SM, 1987. - Pap� ya no vive con nosotros. SM, 1993. - Rusika (1993). SM, 1996. - Flordecol. La Galera, 1994. - El primer gigante. La Galera, 1995. - El �rbol de mi patio. Edeb�, 1996. - El c�rculo m�gico. Junior/Grijalbo Mondadori, 1996. - Cuando los gatos se sienten tan solos. Anaya, 1997. - Marina; Caballito de mar (1998). Anaya, 2004. - La bruja y el maestro. Anaya, 2001. - �Por qu� no tengo los ojos azules? Edelvives, 2005.